The most detailed reviews for new rock and metal releases! We listen to albums more than just once! And here we are with another newcomer this year. 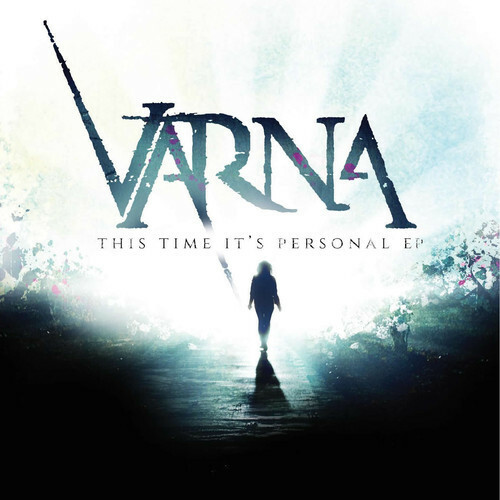 American band Varna directed our attention to their mini-EP “This Time, It's Personal”. Although it only contains three songs, I decided to write a short review about it. According to the description on their facebook page, Varna have influences from Mariah Carey to Slayer, which made it especially interesting for me as I like bands that don't only focus on one style of music. Let's start with the band's first single “Down”. The first influence is pretty easy to guess. The guitar's sound would make every metal fan fall in love with this band, if the song wouldn't already be that great. Singer Tiana Woods gives it that little twist towards pop so that many people, who are not used to this style of music would possibly compare it to bands like Evanescence and Nightwish. Still, the vocals are way more pleasant on “This Time, It's Personal”. I was wondering at first, how “hard rock/pop” should sound like. Listening to “My Heart” I get the idea. The song definitely has a rock edge and sometimes reminds me of Lostprophets during their good times (for me that would be the times around “Start Something”), but still the lyrics make it sound like a song that could absolutely be played on a radio show. Despite it's less rock than “Down”, I absolutely like this kind of songwriting. “Running Away” is a song that I can only recommend to listen to. The track is great and to me even better than the single. Despite not liking the fact that I can hear a bass playing during the song when the band doesn't even have a bass player (something that I would always criticize), I can't stop listening to this track. It's just that good. Varna impressively show that there is definitely more than just talent in this band. Three high quality songs already are enough to make me a fan of this band (something that no band managed before), which is why they get more points than I would usually give away for a three-track-EP. Review: Congoroo - No, Monkey no!